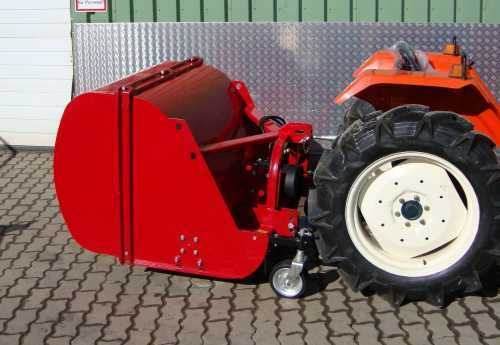 This flail mower is suitable for tractors from 20 PS. 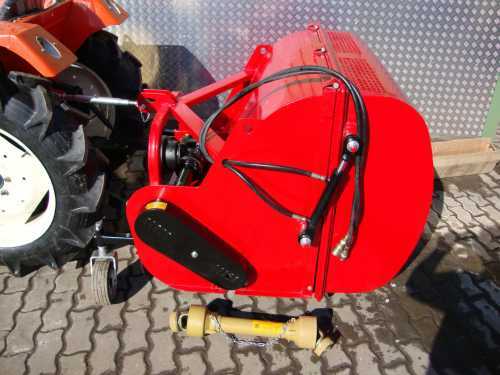 At high grass it is safer to go with the 1st gear, then the small tractor is not overloaded. 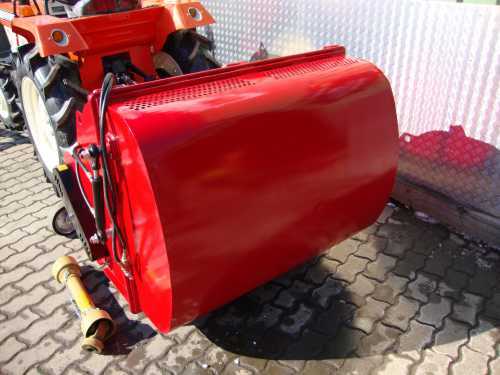 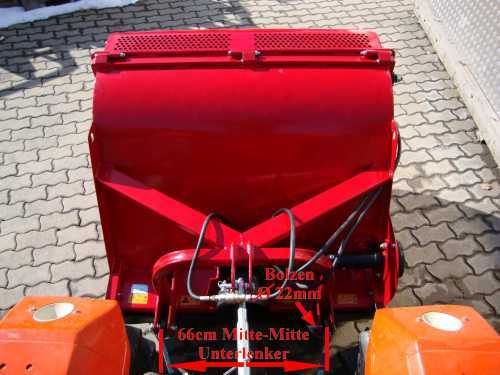 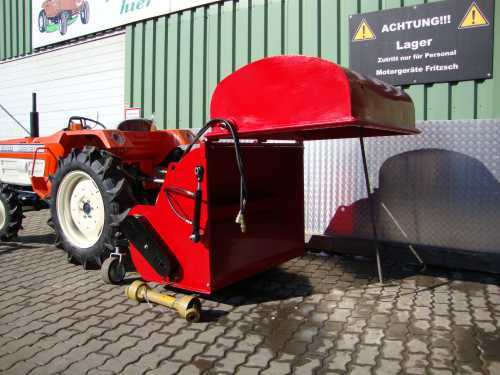 The volume of the cut grass collector is 0.55 m³. 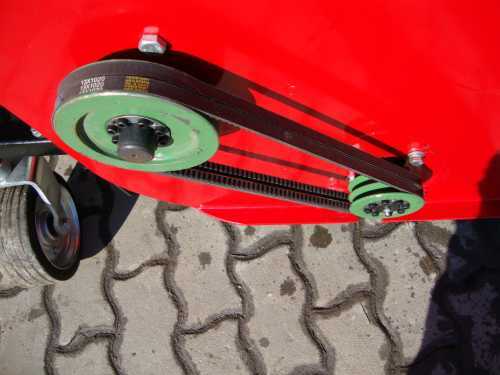 The 28 mounted cup knives guarantee a clean cut.